The fire extinguishing system of the new millennium! The technology behind the fire-extinguishing agent of aerosol products was developed originally by the aerospace industry to solve the fire hazard issues during take-off. Today, after years of research, Micro-Sol is born, the best extinguishing alternative to Halon in various industrial functions. 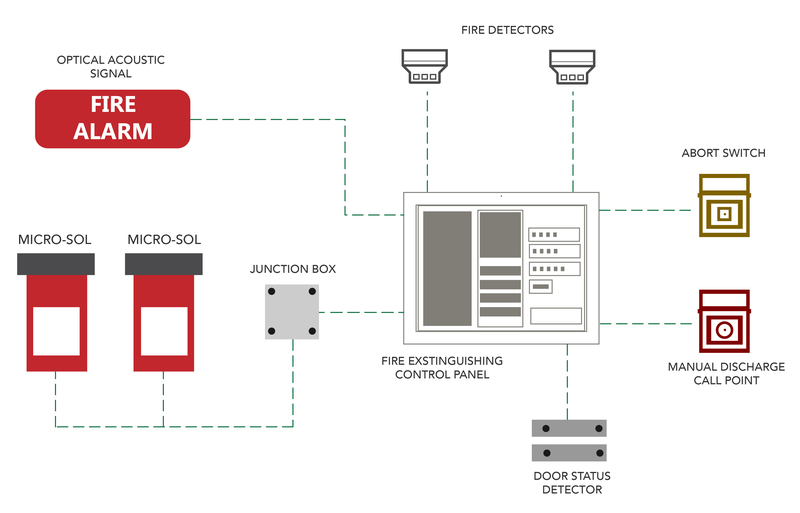 The Micro-Sol fire extinguishing system is a pre-assembled method, conceived to protect from fire hazards in diverse locations. 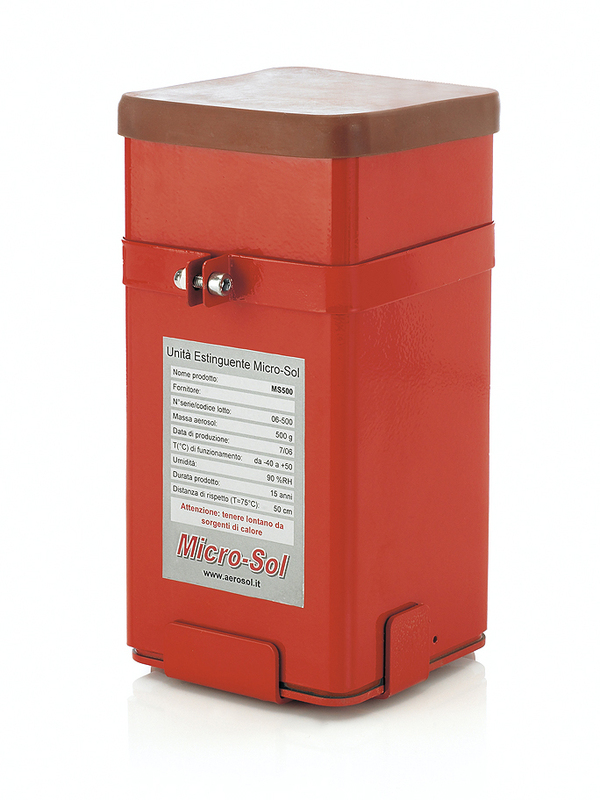 Micro-Sol is suitable for extinguishing Class A fires (solid materials) without the presence of embers, Class B fires (flammable liquids), Class C (gasses) and Class E fires (electric apparatuses). 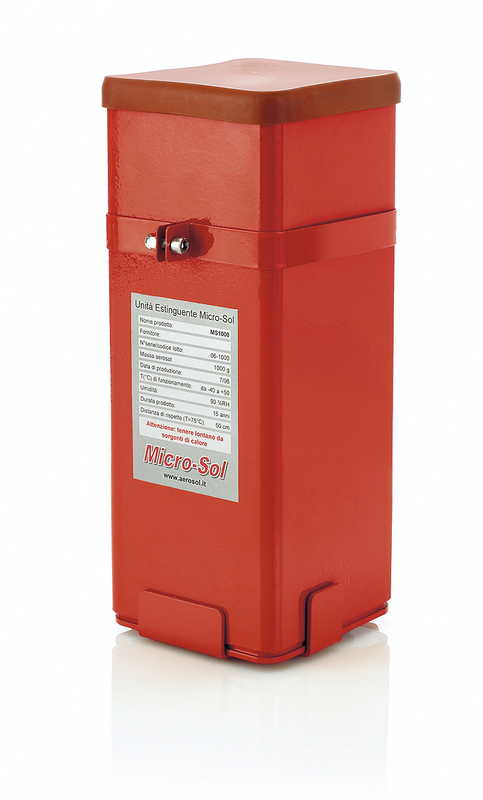 The fire extinguishing agent Micro-Sol is extremely efficient, in fact, it is able to quickly extinguish fires of all classes with less than one-third of the weight of the Halon 1301 systems. Its innovative technology allows for the protection of hazardous environments without installing pipelines, pressured bottles, and other cumbersome and expensive equipment. The result is a safe and economic extinguishing system that requires minimum installation effort and maintenance.